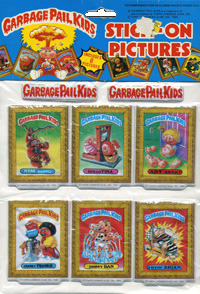 In 1986, Imperial Toy Corp released a set of 12 Sticker Sets featuring the images of Series 1 and Series 2 Garbage Pail Kids. 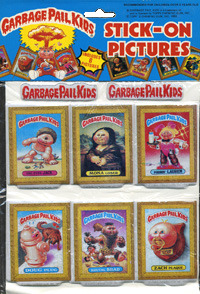 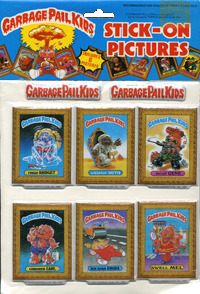 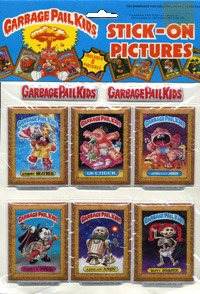 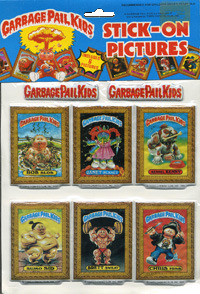 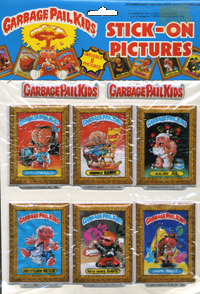 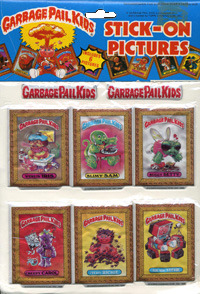 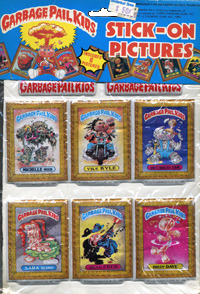 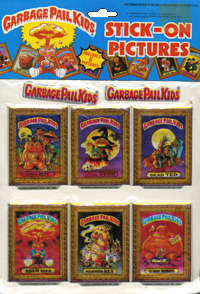 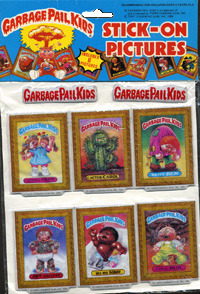 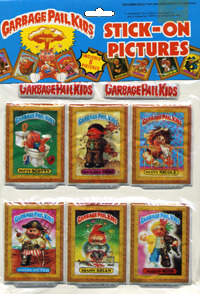 Each package featured 6 character stickers and 2 Garbage Pail kids 'banner' stickers. 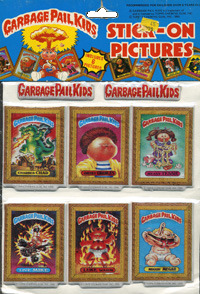 All of the stickers in the package were 'puffy' as opposed to just flat stickers. 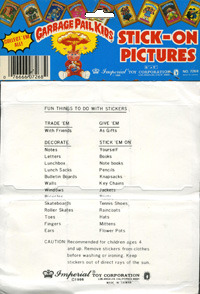 The character stickers looked exactly like the card, however they also featured a wood-frame border. 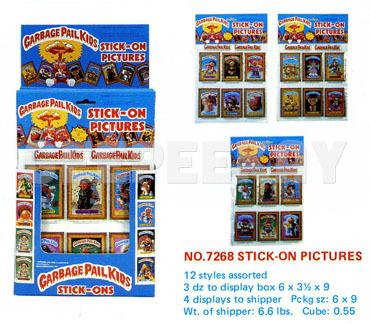 A complete box of Stick-On Pictures contains 36 mint condition packs. 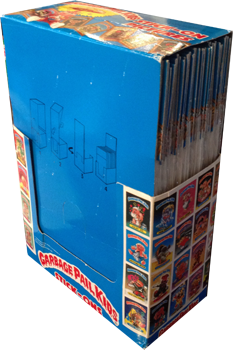 The separate (removable) top-section contains printed instructions on how it was to be removed, folded, and positioned to form the product display. 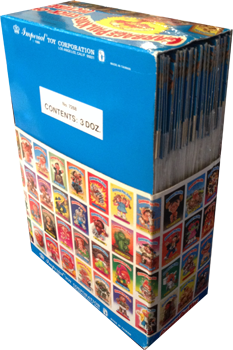 The boxes for all three sticker products were extremely similar, with the only difference being the text on the top of the box.